Oceans developers have noted the diversion of Lagoon Drive to allow for Phase 2 of the culvert crossing has been implemented which is causing congestion due to the movement of construction vehicles. 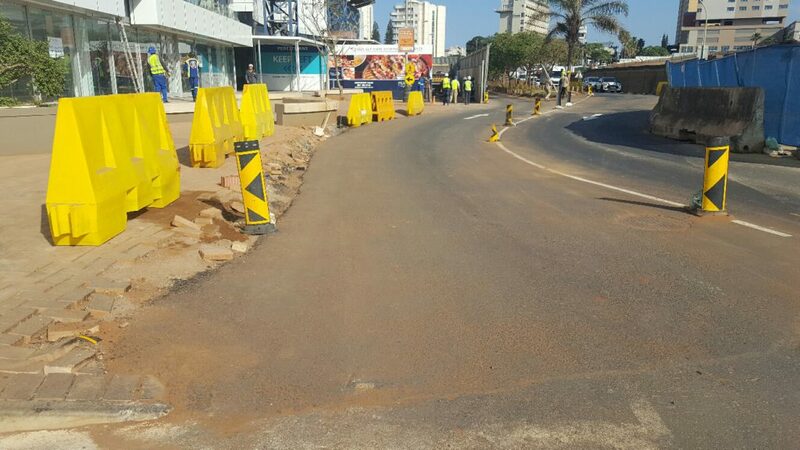 Motorists are asked to drive slowly and be patient, and pedestrians are encouraged to remain on the Eastern side (seaside) of Lagoon Drive and to make their way along the Pearls sidewalk rather than attempt to walk down the road. The driving of contiguous steel sheet piles has been completed and should result in a reduction of the noise levels experienced in the area. The new temporary bus rank is due to open this week with the completion of Telkom’s trenching the final issue. The link road between Ridge road and Flamingo Lane has been closed as the work in Flamingo Lane is now complete. Pedestrians will now need to access Ridge Road via Lagoon Drive going forward.